If you've seen me posting about my Vitamix and have always wanted to get one, now is your chance. 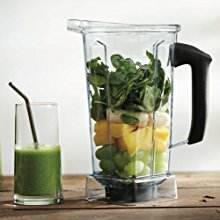 Head to Amazon for a one day sale on the Vitamix 5200. Normally priced at $399.95, it's on sale for $298.94! That's $100 off and includes free shipping. Why do I love my Vitamix so much? It makes the smoothest smoothies. And sauces. And soups. Speaking of soups, the Vitamix actually cooks the soups while blending. Homemade lemon curd is a breeze! So much tastier and cheaper. Nut butters - fresh is better than store bought, plus you control the ingredients. Ice cream in minutes - with no bulky container that you have to store in the freezer. Did I mention margaritas? Frozen cocktails whip up in seconds with no chunks of ice. Homemade almond milk will make you swoon. Seriously - it's sooo good! 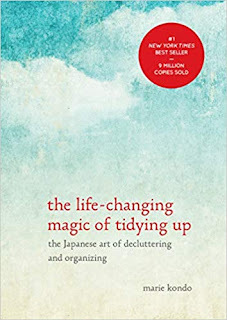 Clean up takes 1 minute - and you don't have to disassemble anything to do it. Head over to Amazon to order one for yourself! You can even make your own flours, chop ingredients, grind coffee, make baby food and more. Find out more at Vitamix. While it sounds like a lot of money for a blender, it actually will end up saving you money and making your life a whole lot easier. They make great wedding gifts too so if someone you know is tying the knot this year, grab it now while it's one sale. Made in the USA, the Vitamix is the very best blender you can buy. It's warranty and customer service are exceptional. Choosing a Vitamix over a blender made by a competitor helps you keep jobs right here in NE Ohio.